If you'd like to use the odd article from horse-genetics.com for your offline newsletters or magazines, or for your ezines, you're welcome to. All I ask is that you please state the source (www.horse-genetics.com) and author (Dr. Glynis Giddings). For Ezines also link to the site homepage. Thank you! Please don't reproduce articles on other websites, thanks. 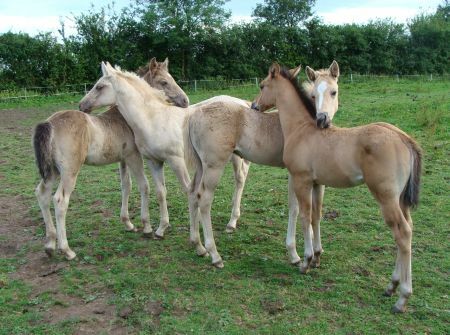 If you're stuck here's how to link to horse genetics (scroll about 2/3 down the page). 2. You can use photos if, AND ONLY IF, they clearly belong to myself and you say so. If in doubt please ask. Other contributors have given their photos to the website willingly, but you'll have to get permission from them before using their photos.